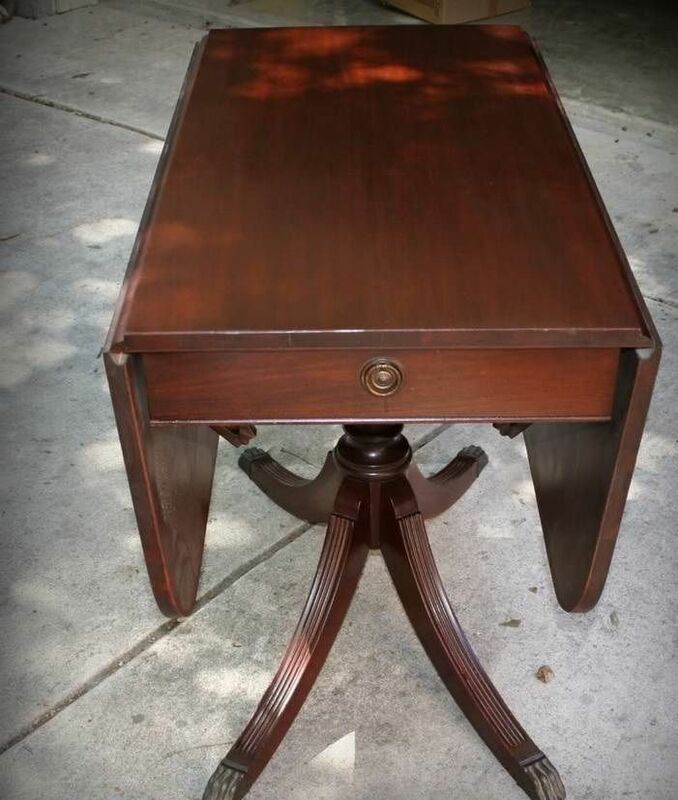 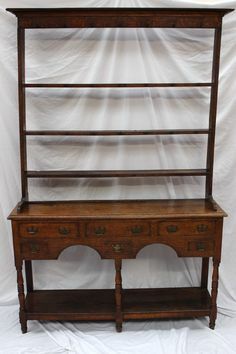 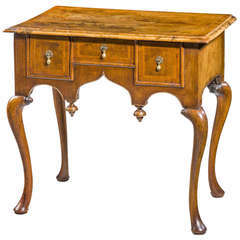 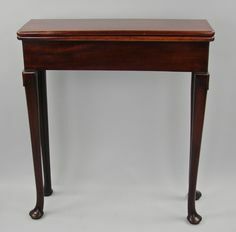 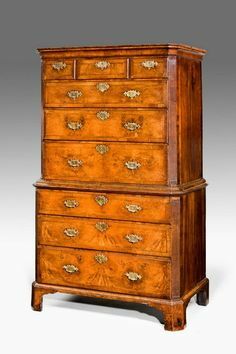 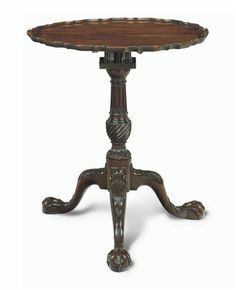 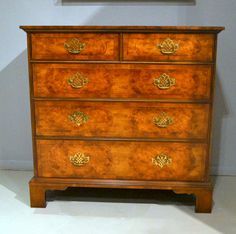 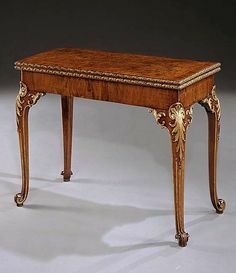 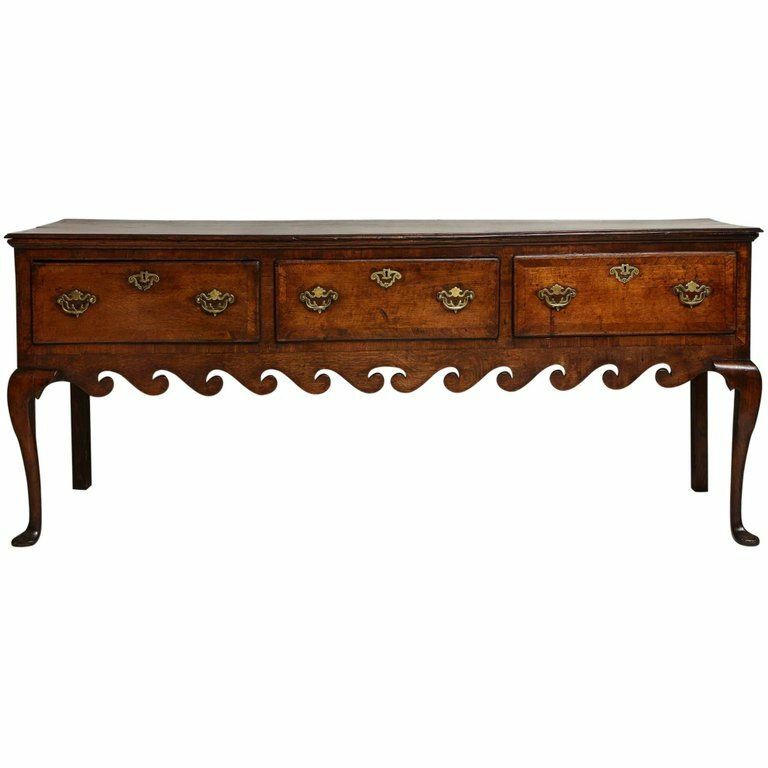 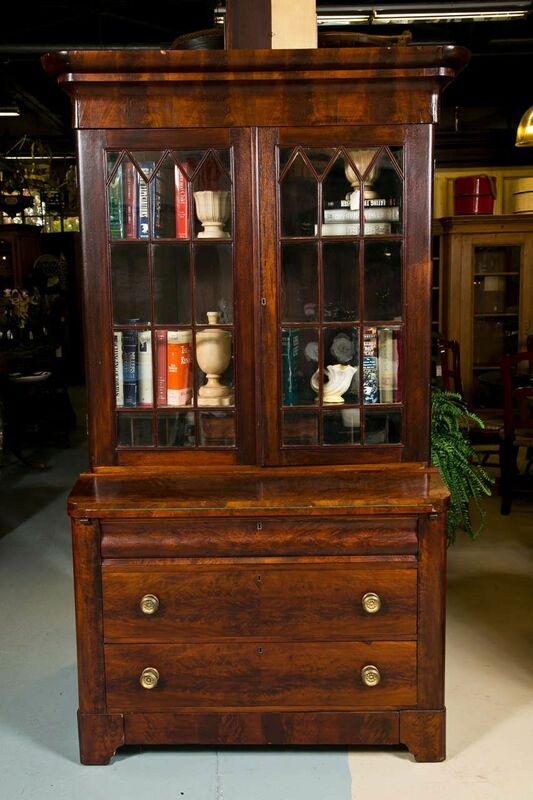 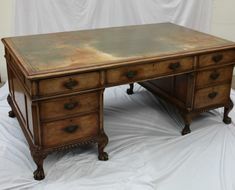 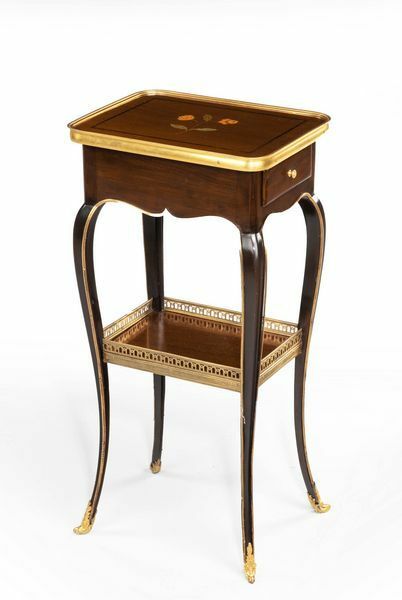 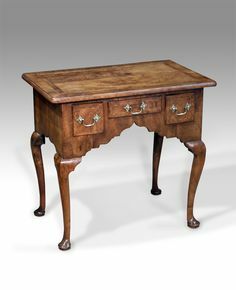 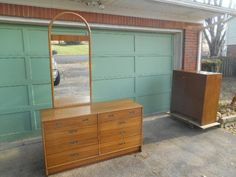 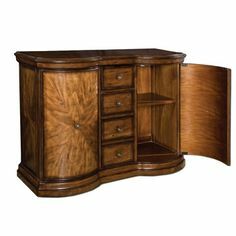 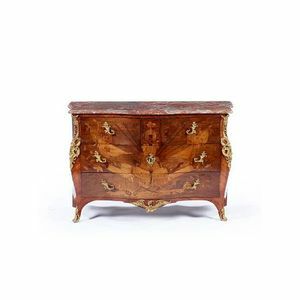 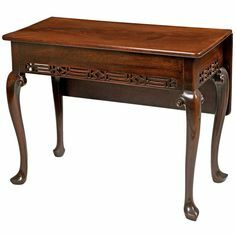 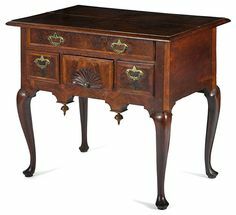 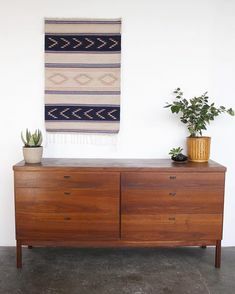 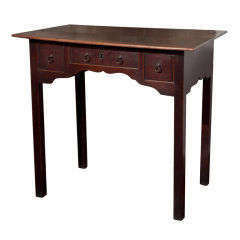 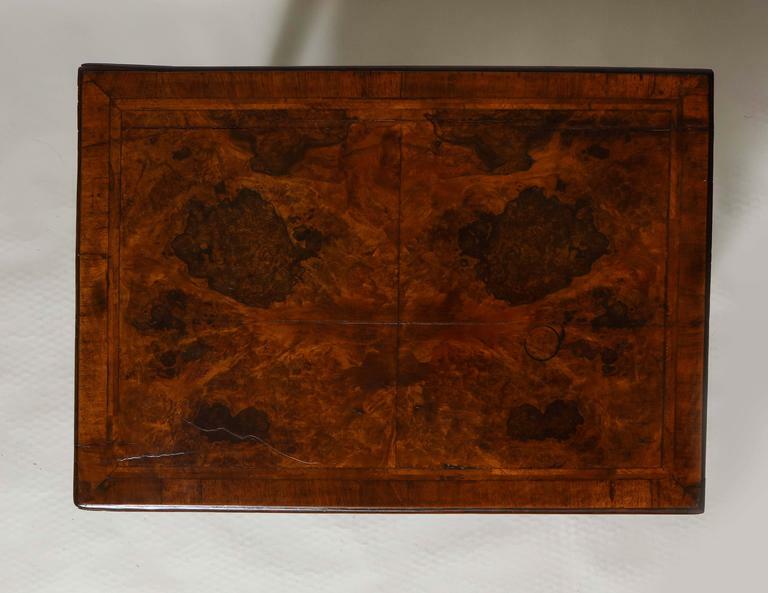 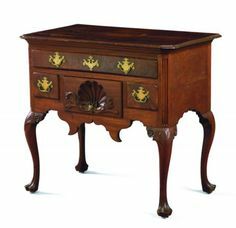 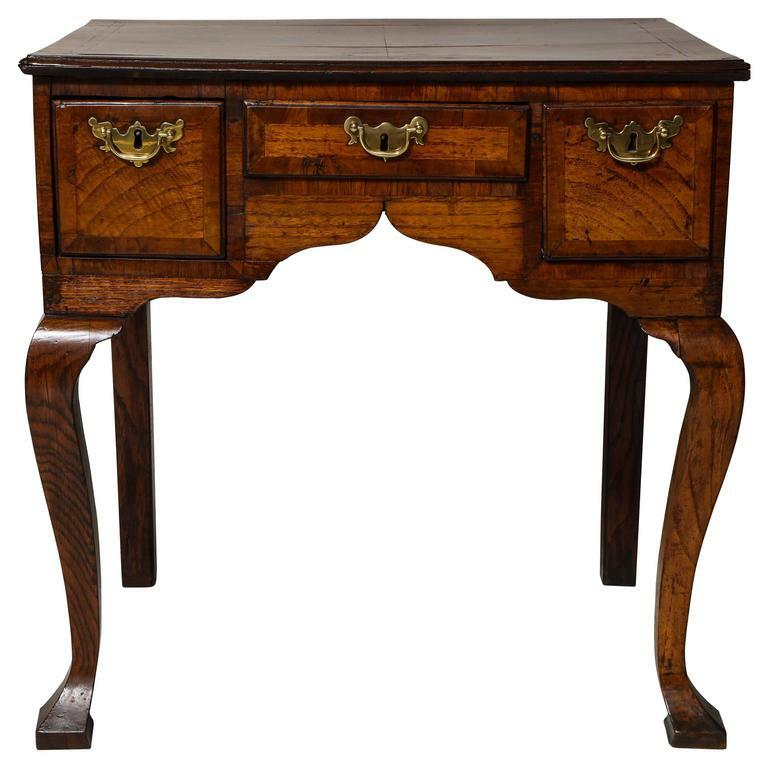 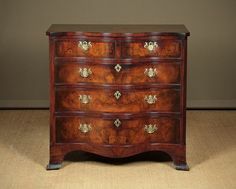 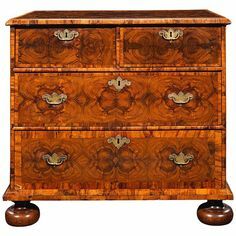 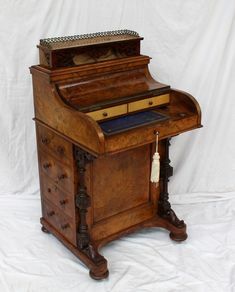 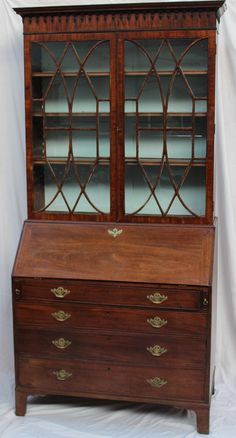 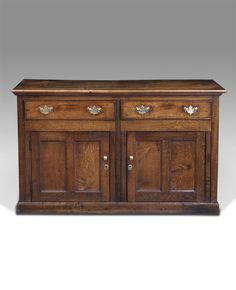 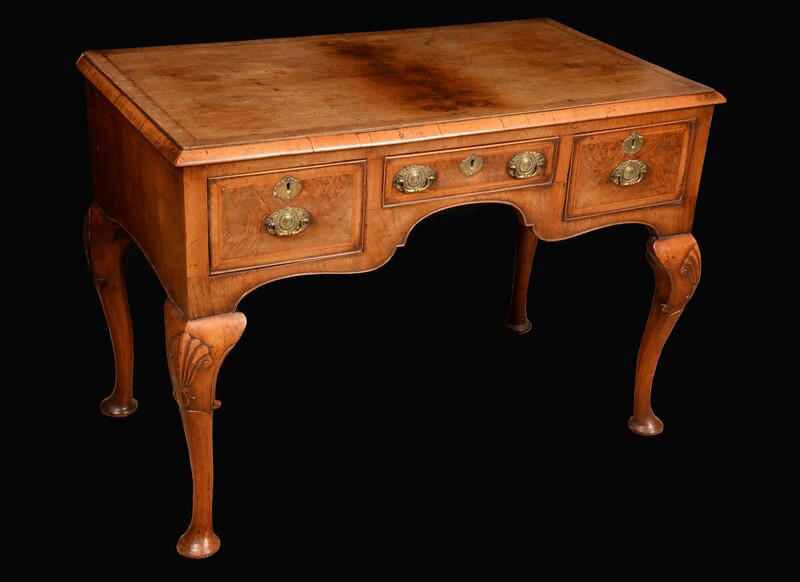 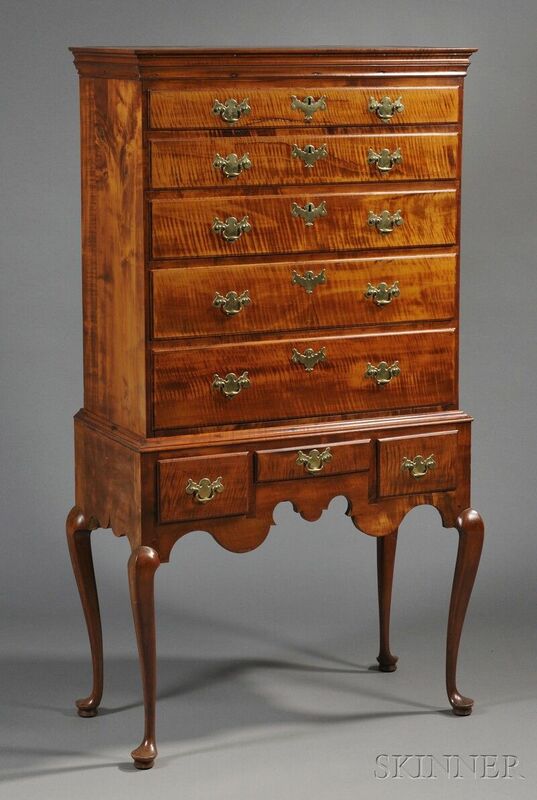 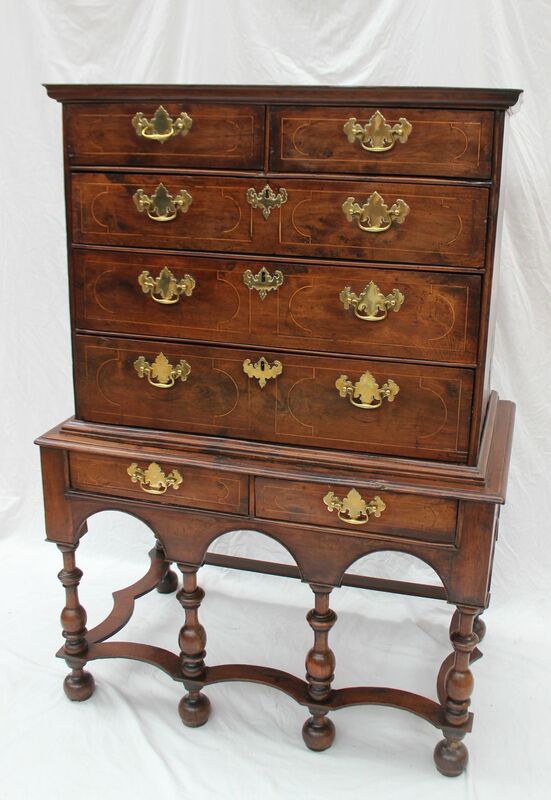 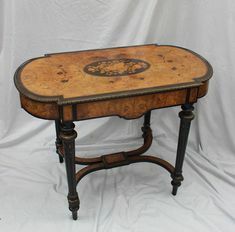 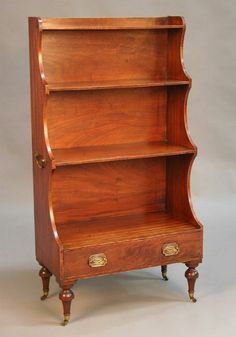 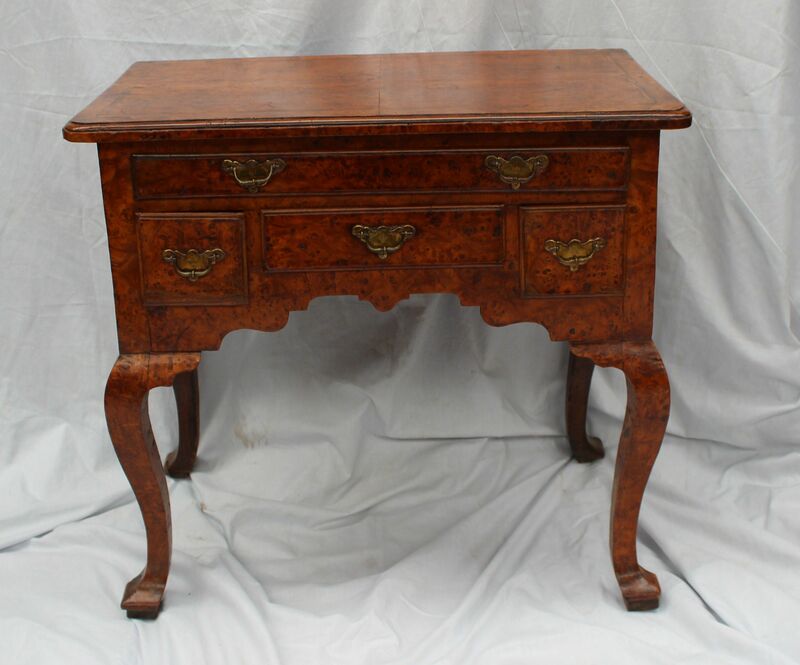 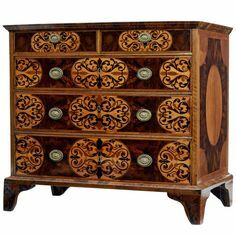 A GEORGE II WALNUT LOWBOY. 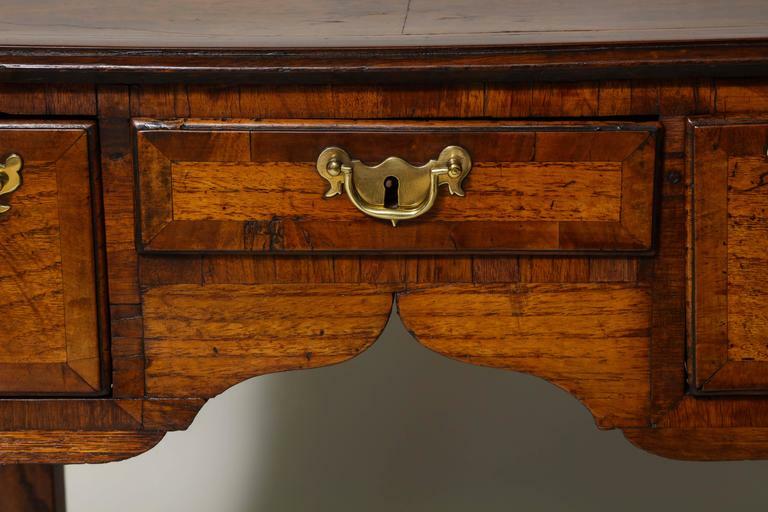 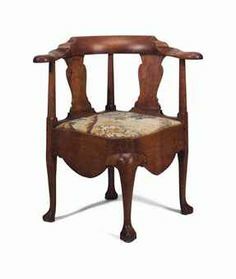 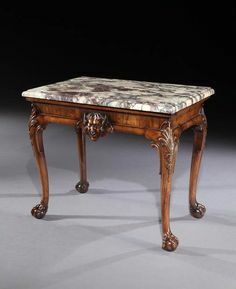 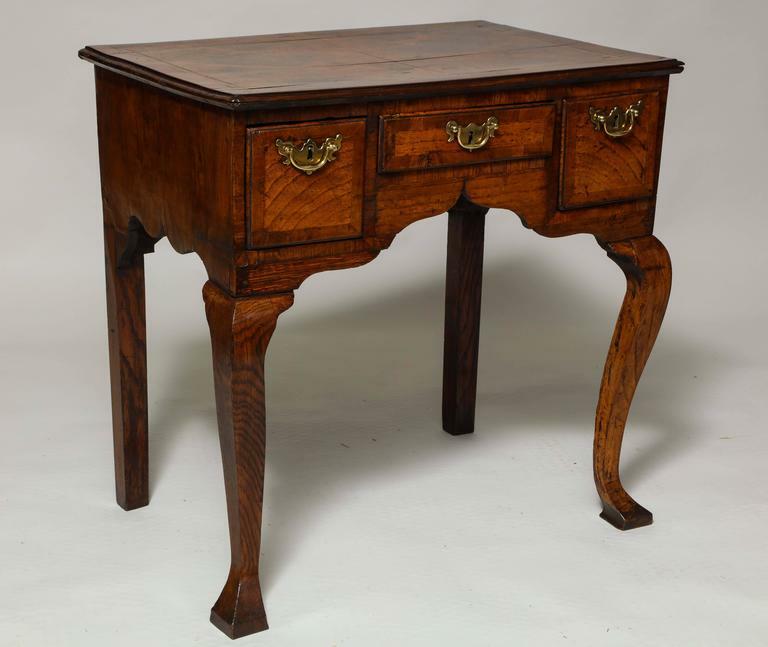 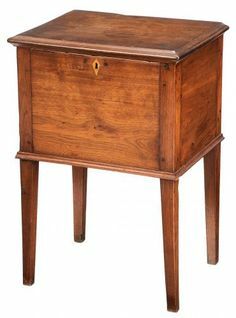 Early 18th Century Cabriole leg Featured Walnut veneered Lowboy. 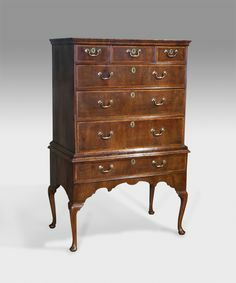 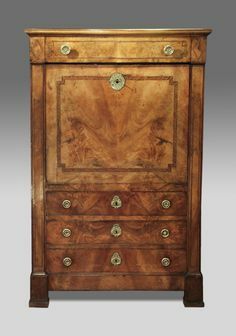 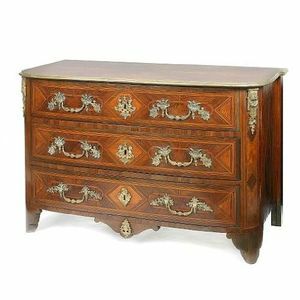 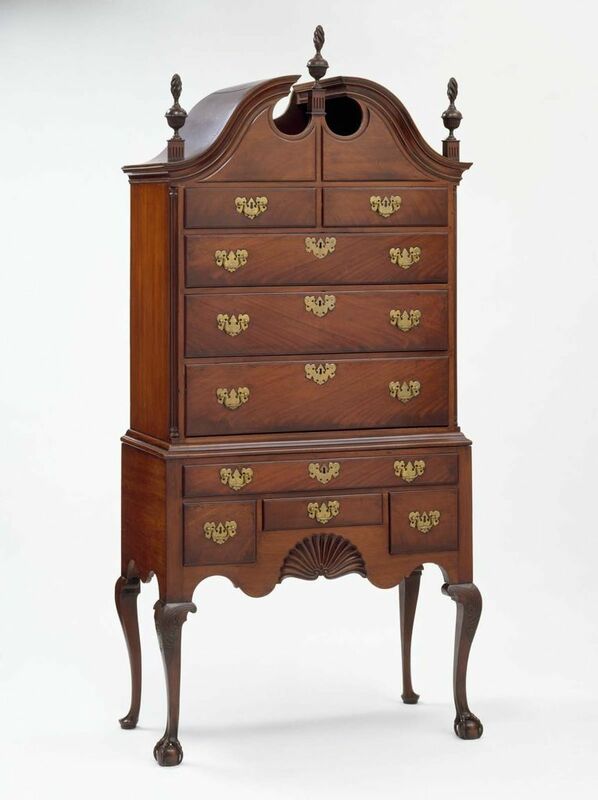 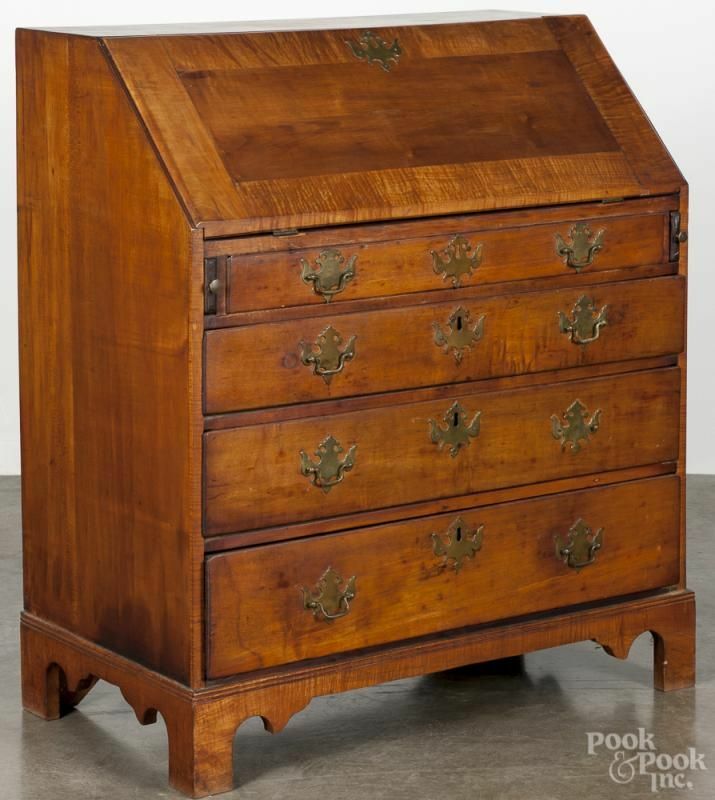 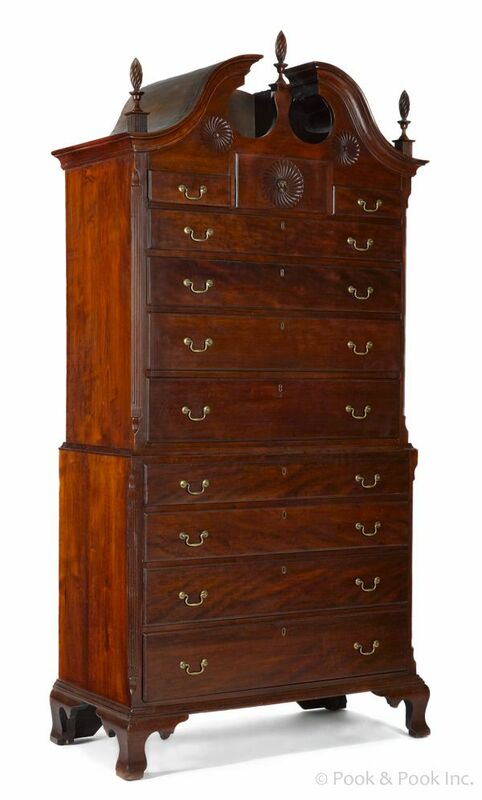 Connecticut Chippendale cherry bonnet top chest on chest, ca. 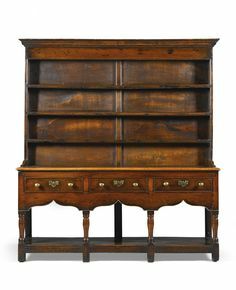 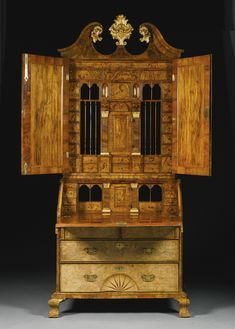 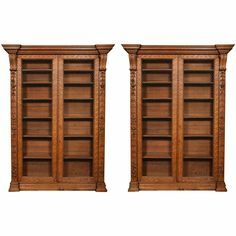 1775, probably Colchester, with a pinwheel carved tympanum and drawer, 89" h. x 41.75 w.
Virginia Frye-Martin school Bookcase on Bureau - Walnut primary, yellow pine secondary. 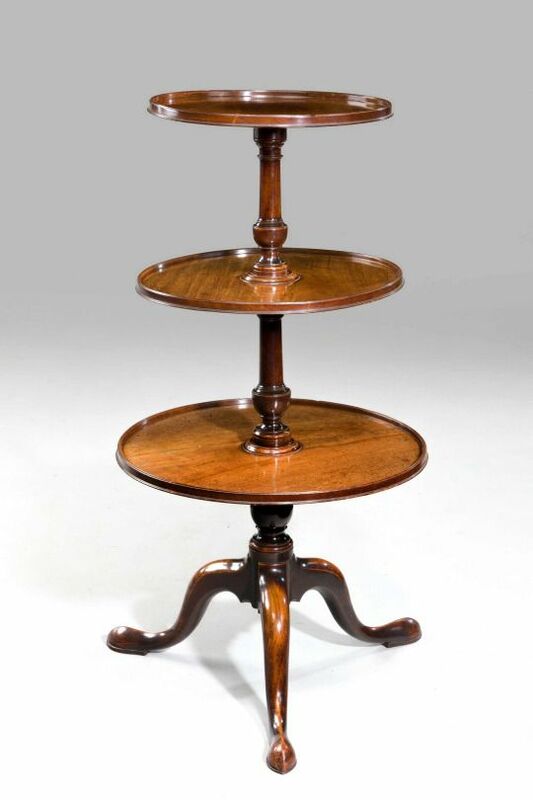 A George III period mahogany three tier Dumb Waiter, the baluster turned support holding three dished trays. 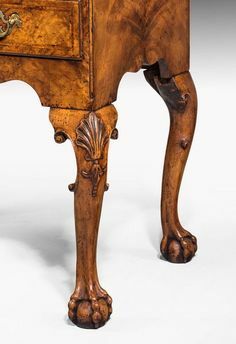 Cabriole legs terminating in pad feet. 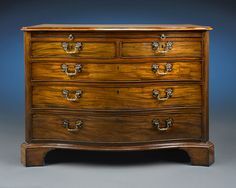 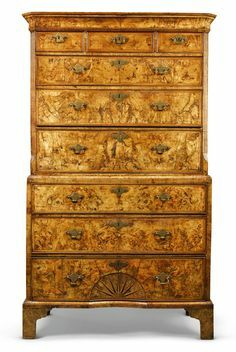 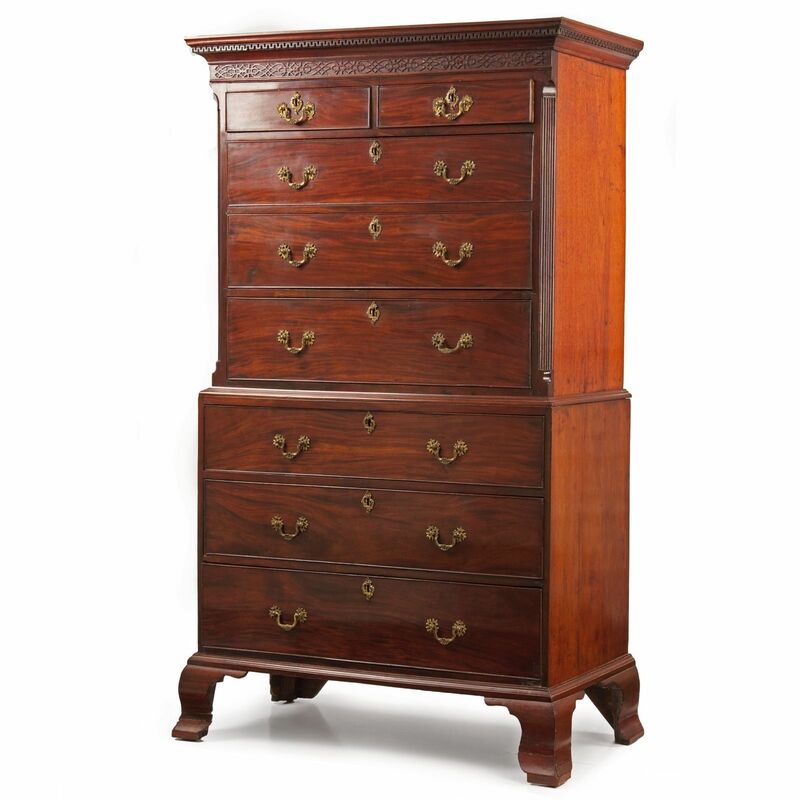 New England Queen Anne Tiger Maple High Chest of Drawers, late 18th century, brasses appear original, 69 H. x 36.5 D. x 19 D.
Georgian-style Mahogany and Mahogany Veneer Tall Chest of Drawers. 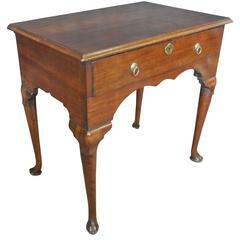 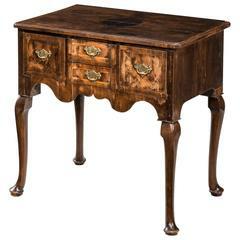 Queen Anne Style Carved Maple Lowboy. 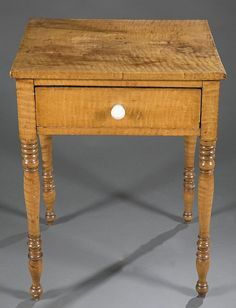 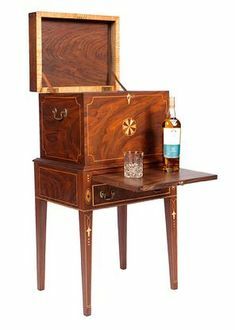 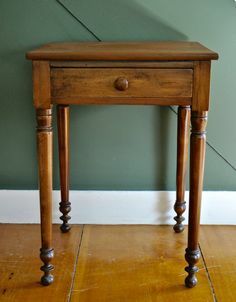 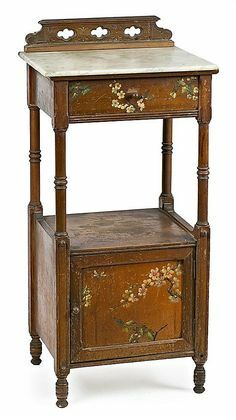 A tiger maple side table, American. 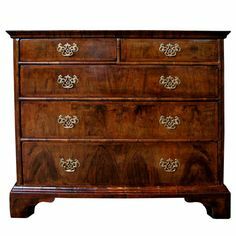 Solid hard wood body with veneered drawer. 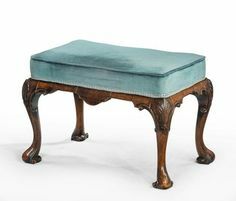 With 1 piece plank top, opalescent, molded glass pull, and turned legs.